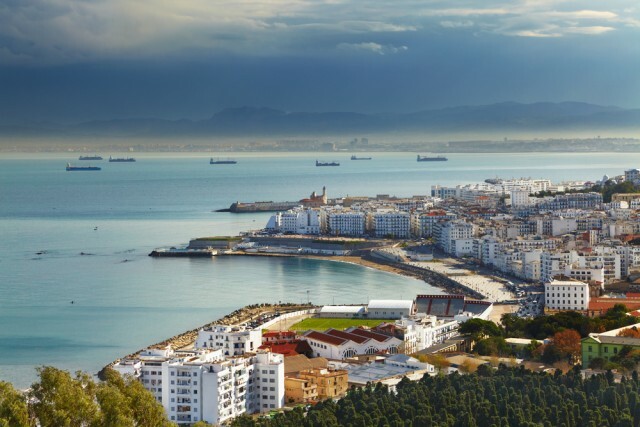 Algiers, the capital of ALGERIA, is situated on a hillside overlooking the Mediterranean Sea. Home to 3.7 million people, it is one of the major cities of North Africa. The various sections of the old city show the different cultures that have influenced Algiers: French-style districts of wide boulevards alternate with Arab sections such as the Casbah, a neighborhood of narrow winding passageways. On the plain spreading to the south and east lies a growing industrial area and new suburbs.